Dr. David Schoellhamer, Research Hydrologist for the USGS, earned his bachelors degree in civil engineering from UC Davis and a doctorate in Coastal and Oceanographic Engineering from University of Florida. He has studied sediment transport in the San Francisco Estuary since 1993. He was the lead author for the chapter on flow dynamics and transport of water quality constituents in the Delta for the State of Bay Delta Science 2016. At a brown bag seminar held earlier this year, Dr. Schoellhamer gave this presentation flow dynamics and transport processes in the Delta. There are a number of reasons why transport was important; Dr. Schoellhamer simplified it done to one constituent: salinity. One of the major concerns in the Delta is how far is salinity going to intrude into the Delta and where is that line of salinity. The salinity comes from the ocean; it’s basically ocean water that’s pushing up into the Delta, and how far it goes is determined by the transport processes and how much freshwater is coming out of our reservoirs and river system to repel that salinity. 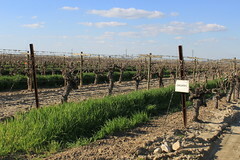 That in turn will affect freshwater withdrawals from the Delta for farming and for export, as well as where certain species will be able to live. In the paper, Recent advances in understanding flow dynamics and transport of water-quality constituents in the Sacramento–San Joaquin River Delta, they developed a conceptual framework for how transport works in the Delta. Dr. Schoellhamer presented a simple framework for transport, explaining that the white arrows in the graphic represent transport; the two circular arrows represent mixing, as one of the things that transport does is it mixes different types of water such as ocean water and river water. 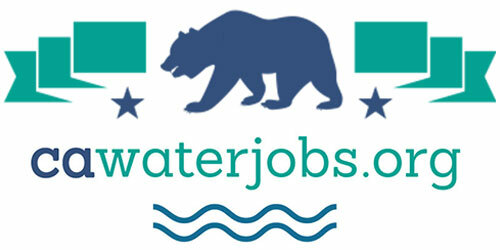 The arrow going from white to left represents the through transport of water as it moves from the watershed to the ocean through the Delta. Transport processes are affected by a number of drivers. One is oceanic forcing, which is the forcing that comes from the ocean and is shown as an two-way exchange between the Delta and the ocean. The brown arrow represents the fluvial inputs, or the inputs from the watershed coming into the Delta, which are modified by the reservoirs, shown in gray. Other forcings include atmospheric forcings, storms, solar radiation, wind, and also biogeochemical forcing which is basically biomass within the Delta, such as marsh grasses affecting transport, and geochemical processes that can act as a source or a sink for certain constituents. Dr. Schoellhamer started first with oceanic forcing and how the ocean affects the transport in the Delta. “The main story here is if you get nothing else out of the talk today, it’s all about the tides,” he said. “Tides drive so much of the transport within the Delta.” He showed an animation to demonstrate the importance of tidal motion. The animation shows a red dye continuously being released up at Verona and coming down the mainstem of the Sacramento River; the month is October so flows are low. The Delta Cross Channel is open so water is moving into the Central Delta fairly quickly. Each frame has a two hour time step to it. There is pumping taking place in the southern Delta, so there is a net flow down to the southern Delta. Dr. Schoellhamer directed attention to the leading edge of the red dye coming down the Sacramento River. He noted the tidal variability as the yellow plug of dye moves up into Liberty Island and down into the Sacramento River with each tidal cycle. With each tidal cycle, there is quite a bit of tidal motion; the tidal excursion is several kilometers. There is also quite a bit of mixing that takes place at junctions, such as Three Mile Slough and the Mokelumne River coming into the San Joaquin River. Eventually, the dye from the Sacramento River moves into the Clifton Court Forebay and the pumps coming through Old and Middle River. He noted that there’s a lot of tidal variability taking place down in the south Delta. “So if you get nothing else out of the talk today, just understand the importance of the tidal motion,” he said. He noted that simple one-dimensional models aren’t able to simulate this dispersion that takes place at the junction because they assume the junctions are well mixed; multi-dimensional models better represent mixing at the junctions. It is the advances in acoustic and optical instrumentation that has greatly increased understanding of the effects and mixing by the tides. There are acoustic instruments that can measure velocity continuously; a large network of those instruments is maintained by the USGS. There are also optical instruments that can continuously measure a wide range of water quality parameters in the Delta. “This tremendous increase in the available technology has really increased the data we can collect and better improve our understanding of the tides and how tides affect the Delta,” he said. 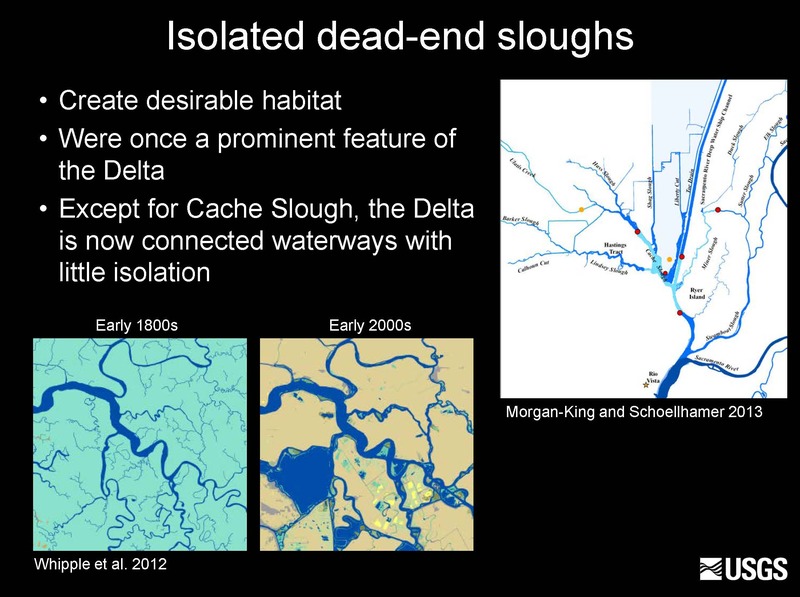 “With repeated cycles of erosion and deposition, we have higher concentrations of suspended sediment concentration and therefore turbidity up in Cache Slough, which is considered a favorable environment for creatures that like turbidity, such as the Delta smelt,” he said. It has been hypothesized for decades that there is a clear relation between flushing of South San Francisco Bay increasing with increased Delta outflow in the spring, said Dr. Schoellhamer, presenting a simple conceptual model to illustrate how it is thought to work. The next main driver of transport are fluvial processes. He presented a picture of the boat ramp at Hogback Island in the Delta, explaining that during high tide, there is fluvial forcing that increases the water level. There have been advances in technology for measuring flow and some constituents which have been important for understanding the tidal environment with tides sloshing back and forth, as well as riverine or fluvial signals coming into the Delta. Dr. Shoellhamer presented an example of nitrate samples collected on the San Joaquin River. Dr. Schoellhamer said that with the improvements in monitoring over the last ten years, one of the things they’ve focused on is the effects of the first flush. 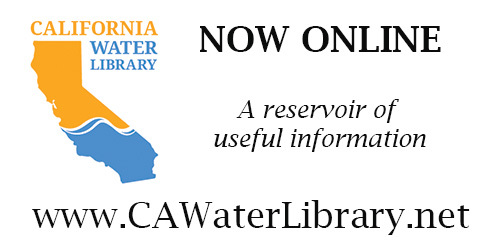 The first flush occurs with the first significant rainfall that occurs in watershed; after 8 inches of rain or so, all the rain that falls will runoff the watershed, bringing the first flush of sediment, material, contaminants, and everything else with it. A lot of sampling over the past ten years has been focused on the first flush. He presented a plot showing turbidity; the black line is at Freeport up in the riverine part of the Sacramento River, the red line is at Rio Vista down in the lower Sacramento River, and the blue line is turbidity at Mallard Island as that pulse of sediment moves from the river down through the Delta. Dr. Schoellhamer noted that even though there is a first flush flow pulse occurring, there still is tidal variability. There is also diffusion taking place; as the pulse comes down through Rio Vista and out to Mallard, the tidal sloshing back and forth and the mixing at junctions takes the peak concentrations and spreads them out. “So what we wind up with at Mallard Island is a pulse that takes place over several weeks as opposed to just one or two weeks, so it tremendously spreads out the pulse of material coming down during this first flush,” he said. Another question about fluvial inputs is what were historical conditions like. Dr. Schoellhamer worked with a graduate student who looked at historical flow and sediment input data to provide better estimates of flow. The data he used was from old records created by a physician who collected them daily from the Golden Gate Bridge over 30 years. “With the Golden Gate data, the freshwater outflow affects the tides, so by calculating certain frequency tidal constituents and how those change in time, one can back calculate what the freshwater flow is and extend the instrumented record back in time to when water level was first collected at the Golden Gate beginning in the 1850s and 1860s,” he said. For the Delta, work has been done looking at the Interagency Ecological Program’s monthly data for total suspended sediment at five sites in the Delta; using the average values, a break point analysis was done which finds the best fits of lines and breakpoints where there’s a sudden change in the data. What was found that there were two significant breakpoints in 1983 and 1998 where there were large step decreases in suspended sediment concentrations centered around those years, which happen to be two of the bigger flow years with the El Nino flows. One question that often comes up is will this decreasing trend in sediment continue – will the Delta waters get clearer and clearer or will they stay at roughly the turbidity they are at now? Dr. Schoellhamer presented a graph showing different estimations under different climate change scenarios. Dr. Schoellhamer then turned to the anthropogenic and atmospheric drivers of transport in the Delta. He noted that from their previous work considering the causes of reduced sediment supply, one of which is the diminished hydraulic mining pulse or basically less erodible sediment in the watershed. Another cause is that the reservoirs trap sediment and essentially cut some of the Sierras off from the watershed in terms of the sediment transport. Another type of the anthropogenic and atmospheric forcing is the timing of flows. He presented a slide showing outflow estimates on the vertical axis and water year days on the horizontal axis. The red line represents the present day, 1968 – 2008, and the blue line is for the 1800s. Lastly, Dr. Schoellhamer turned to biogeochemical forcing. One example is marsh restoration, which in some ways is an anthropogenic driver on the Delta system; planting marshes can affect the transport by changing the bathymetry and the topography of the Delta which affects how the tides propagate through the Delta and therefore effect mixing and transport. Dr. Schoellhamer noted that there is a new USGS project he is working on that is evaluating how aquatic vegetation affects turbidity and traps sediment, and therefore affects the sustainability of marshes; is the sediment is moving into the marshes or moving into the vegetation as opposed to moving into the marshes. It is an internal USGS project that is trying to evaluate the effect of the vegetation on sedimentation processes. Question: One of the conclusions you made was that warming temperatures, more rain less snow, how does that translate to lower in the peak flow? Because it seems to me it’s the opposite. Can you explain how that mechanism is working? Question: The reduction in the sediment source for the Delta. I understand the effects of reservoirs and the depletion of the mine tailings. How about the leveeing the system? We now have levees up and down the system rather than sheet flow over larger floodplains. How much of that has immobilized sediment in the valley and kept it in place? 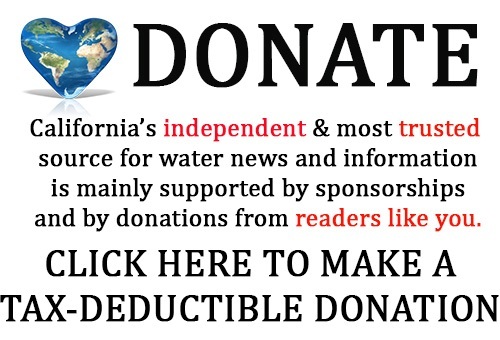 For more on the State of Bay Delta Science, click here.